Dr. Marc is a graduate of New York Chiropractic College. 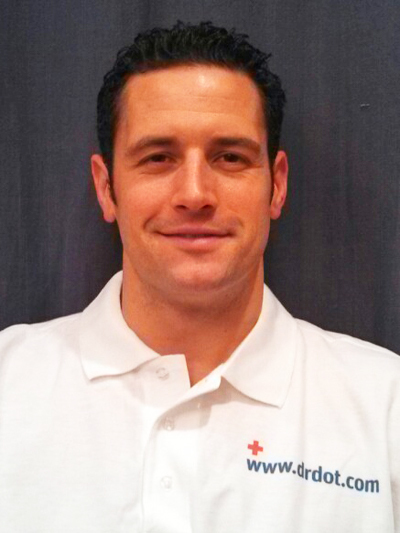 He has extensive training in rehab and manual therapy: Active Release Technique, Graston, and fascial work. Dr. Marc has been in practice for 10 years treating patients of all types including pro and collegiate athletes, musicians, performers, actors/actresses, olympians, parents, teenagers, and weekend warriors. He believes that the combination of chiropractic care and soft tissue therapy is an integral part in efficient treatment of aches and pains. Being a former collegiate athlete, Dr. Marc understands how to treat athletes and performers who “beat themselves up” for a living. He is the chiropractor for Towson University Athletics and has affiliations with the PGA medical team. This entry was posted in massage and tagged 24 hour chiropractic service Baltimore, backstage, blog, dot, home, hotel, male, Marc, Maryland dr, md, venue by Dr. Dot. Bookmark the permalink.